If “ruling class” and the elite media looked behind the foreign policy establishment’s curtains of secrecy, they would discover that the “great wizards” in Washington are hell-bent on undermining Donald Trump’s presidency, wrote the author of the 2010 best-seller “Ruling Class“. “In short, the CIA has always been part of the left wing of America’s ruling class. The ‘Russian hacking affair’ is another instance of the perennial effort by which this class defends its claim to be the arbiter of truth and authority,” Angelo M. Codevilla, professor emeritus of international relations at Boston University, wrote in an analysis for The Washington Times on Dec. 20. “An anonymous CIA official tells The Washington Post and The New York Times that Russia hacked to elect Donald Trump. Gives zero details. The CIA refuses to meet with the congressional intelligence committees. After a week of media echoes that the voters were victims of “fake news” conspiracies including from the Russians, The Hill reports: ‘Poll: More than half of Americans bothered by Russian interference in election.’ Hence John Podesta, Hillary’s campaign manager, formerly President Obama’s senior counselor, was on firm public relations grounds when he contended that the 2016 elections were not ‘free and fair.’ Presto: America’s electoral repudiation of the ruling class is on the skids toward delegitimization,” Codevilla wrote. “The CIA has not resisted this temptation because the media and the movies have bought into its myths of omniscience and derring-do; and because only very rarely have the presidents and members of Congress whose duty it is to make judgments about foreign affairs questioned what there is behind the CIA’s curtains. Seldom have they exercised their right to look behind them. 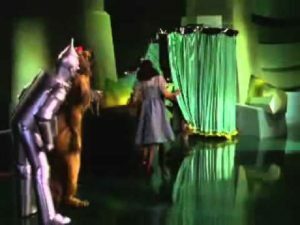 “Above all, knowledge that, all too often, there is little more behind the CIA’s curtains of secrecy than what Dorothy found in the Land of Oz would remind all that nothing that intelligence says or does not say can relieve presidents, their agents and Congress of any responsibility whatever for the decisions they make or fail to make,” Codevilla concluded.